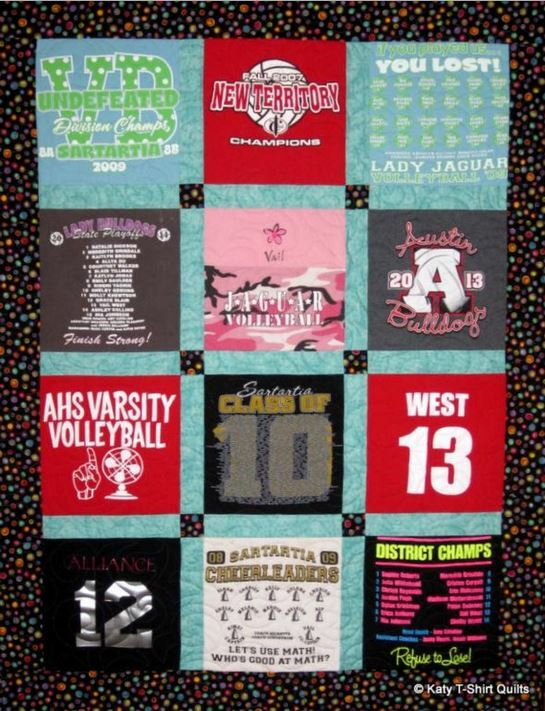 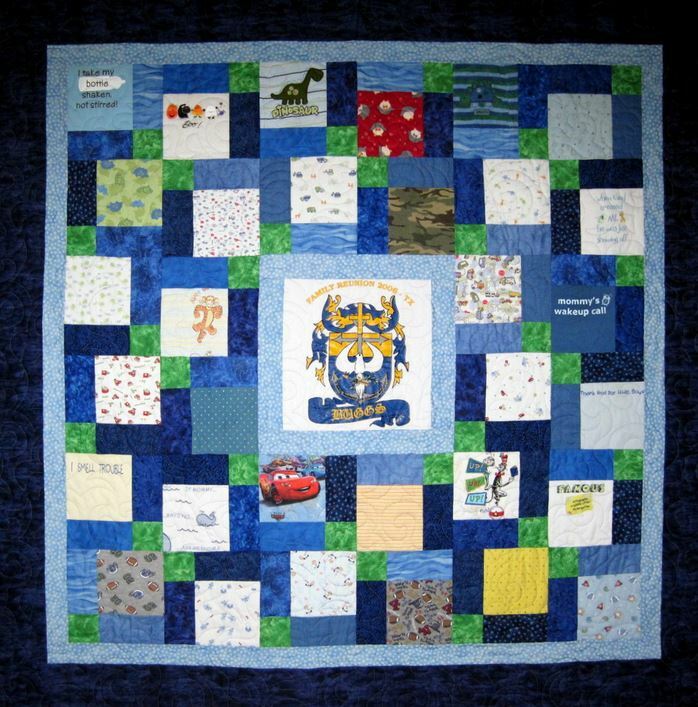 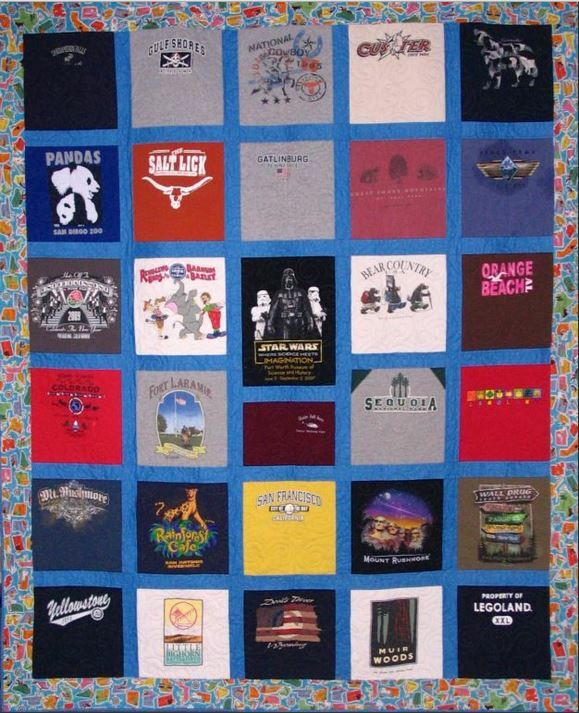 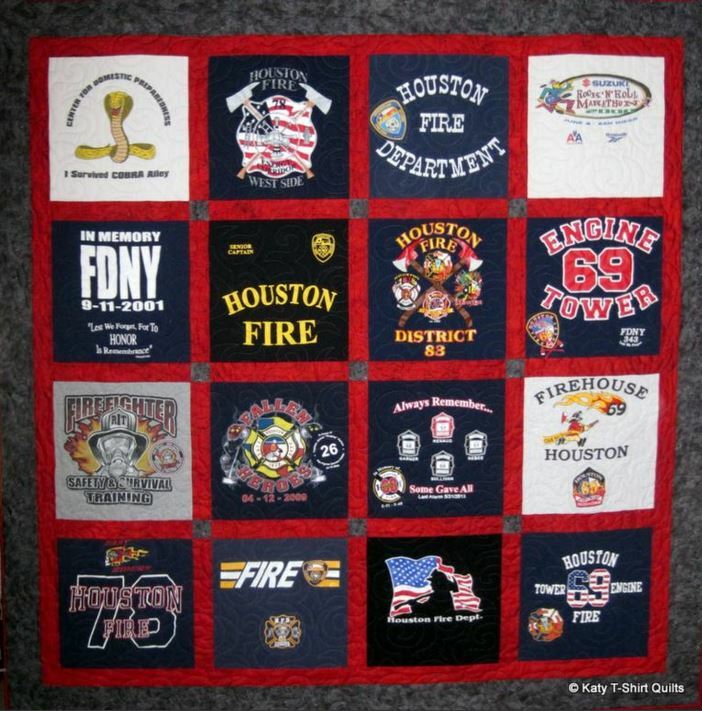 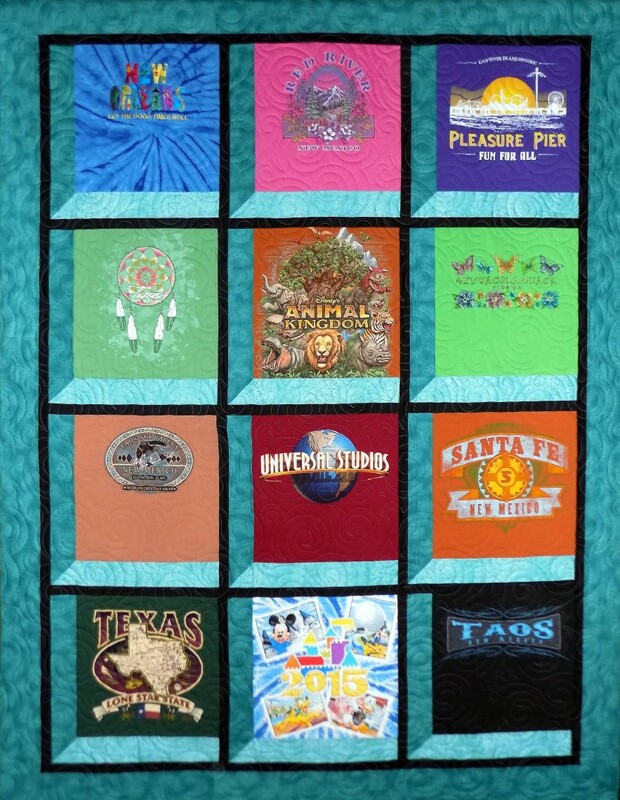 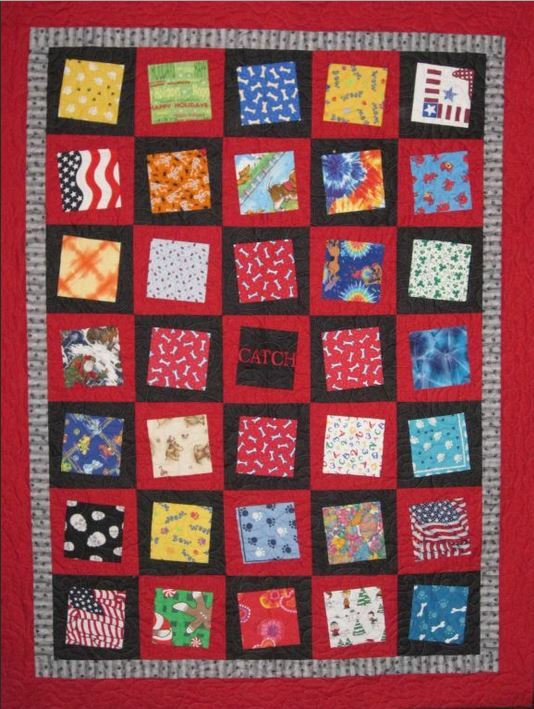 Please click on the pictures for a closer view of the tee shirt quilts created by our talented t-shirt quilt maker. 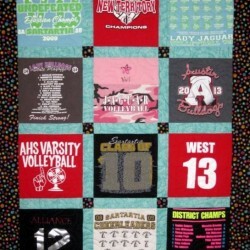 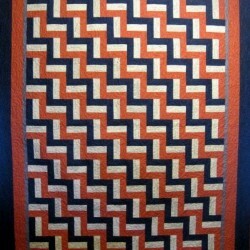 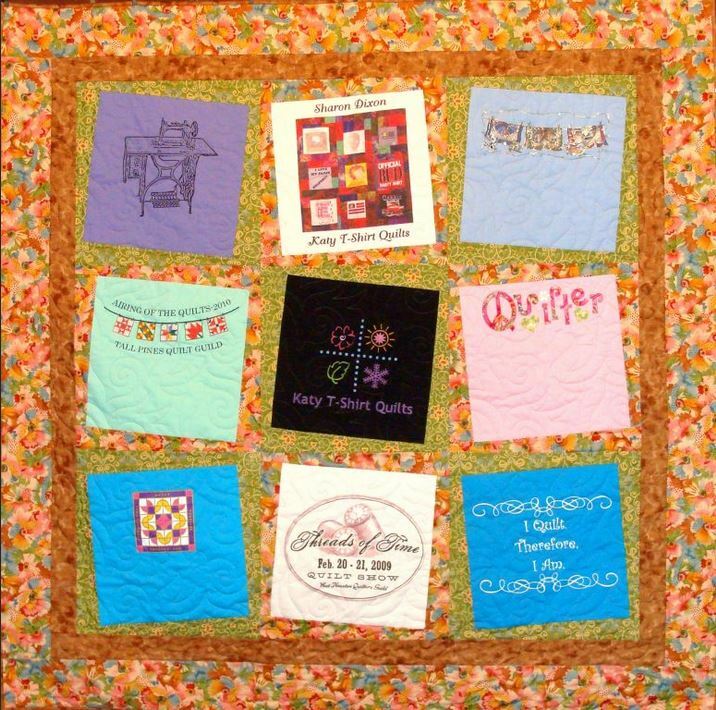 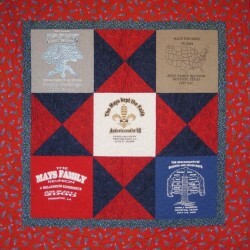 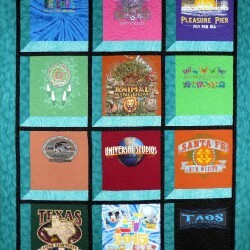 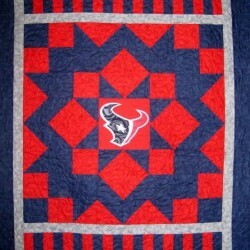 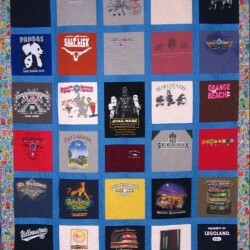 Our tshirt quilts are made to be high-quality blankets that last a lifetime. 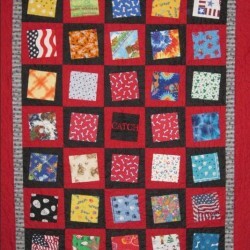 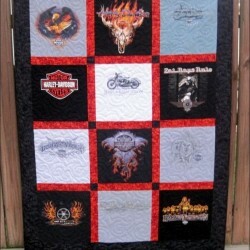 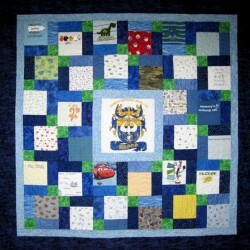 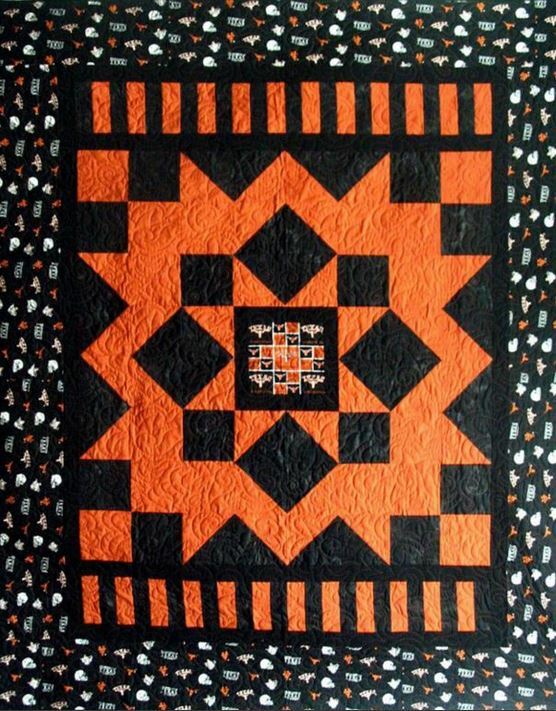 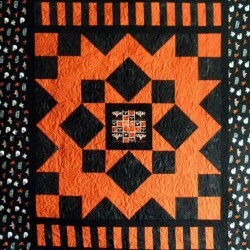 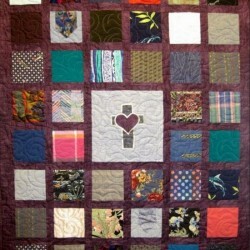 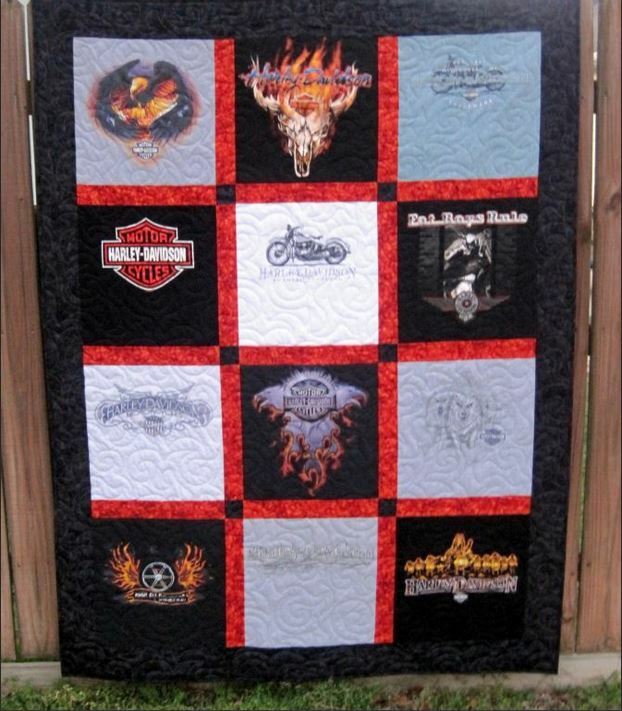 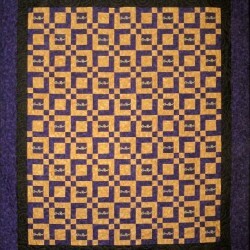 Harley Davidson Quilt - I made this to donate to a Yay4Life fundraiser. 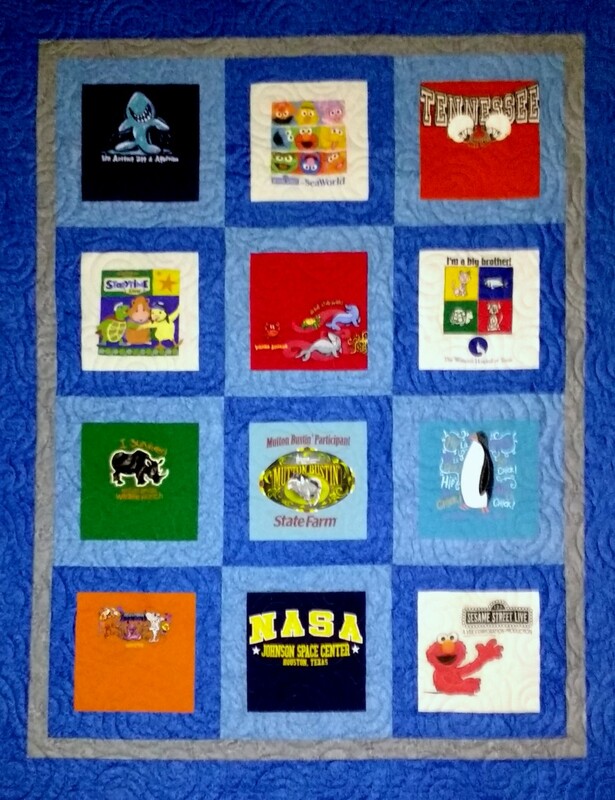 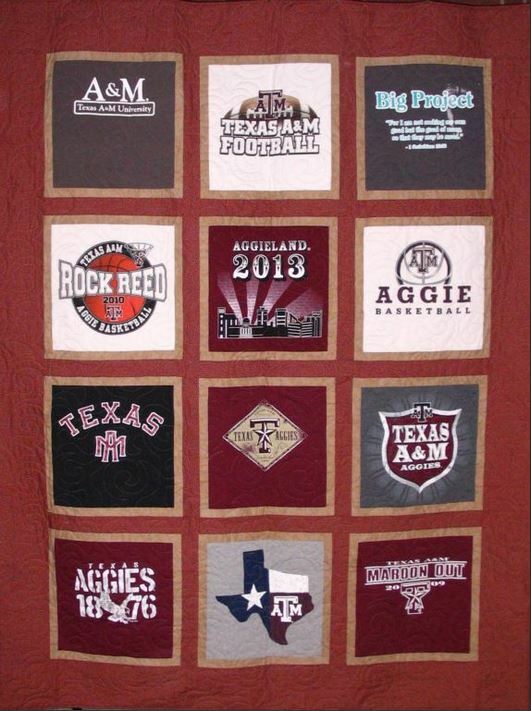 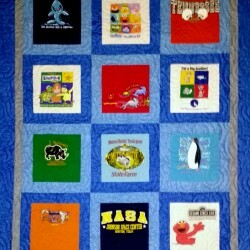 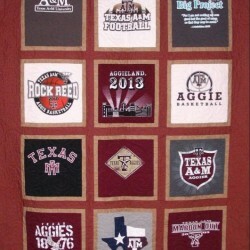 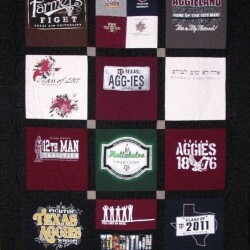 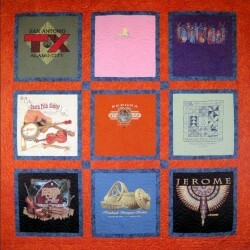 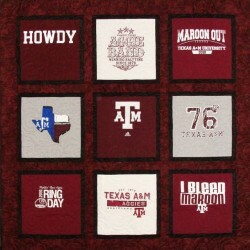 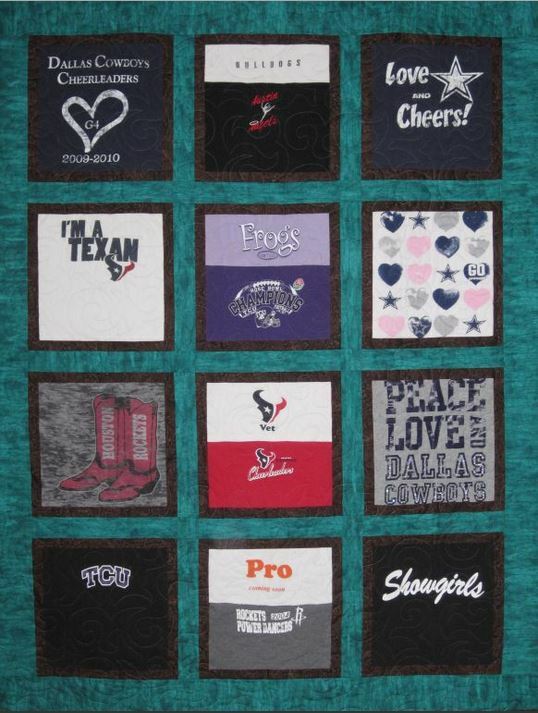 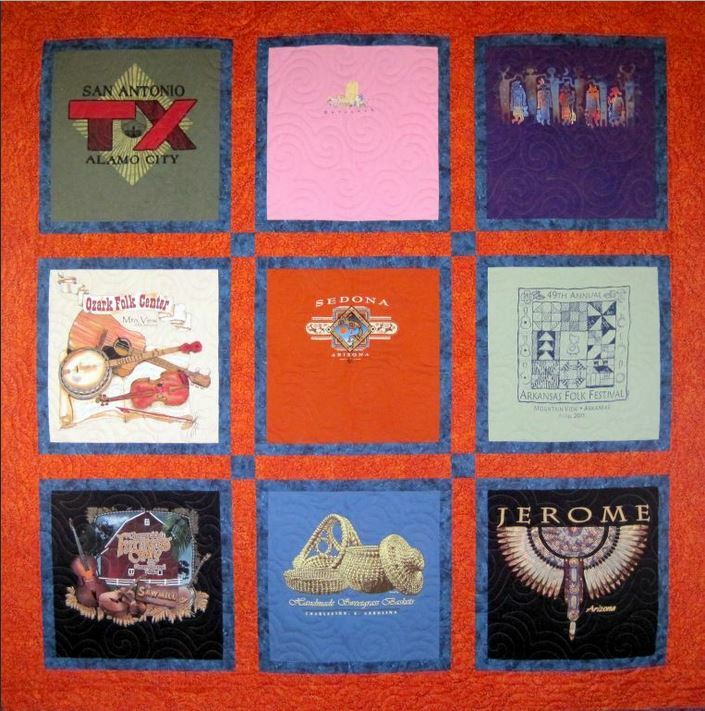 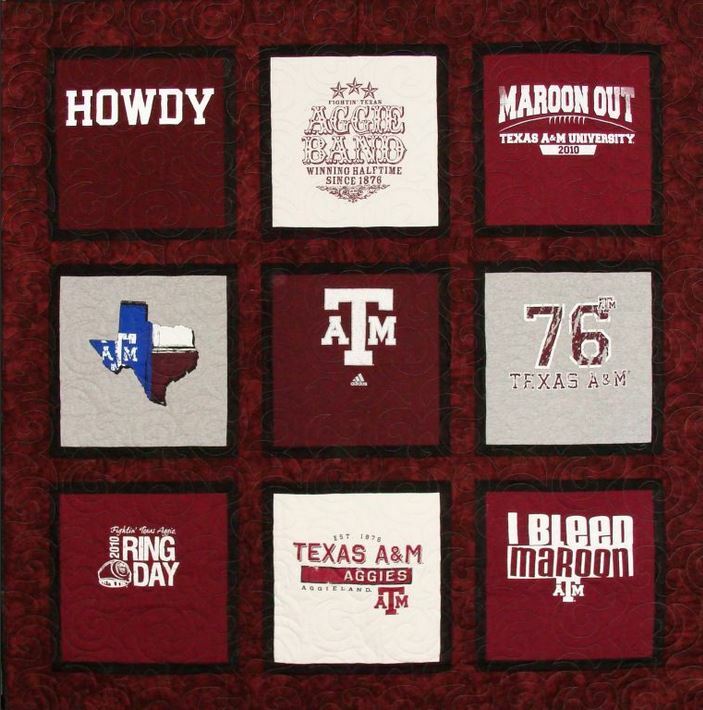 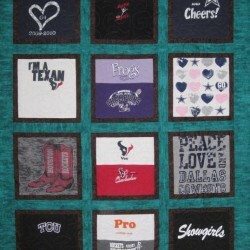 School T-Shirt Quilt - I made this quilt for my oldest granddaughter when she went to the University of Texas. 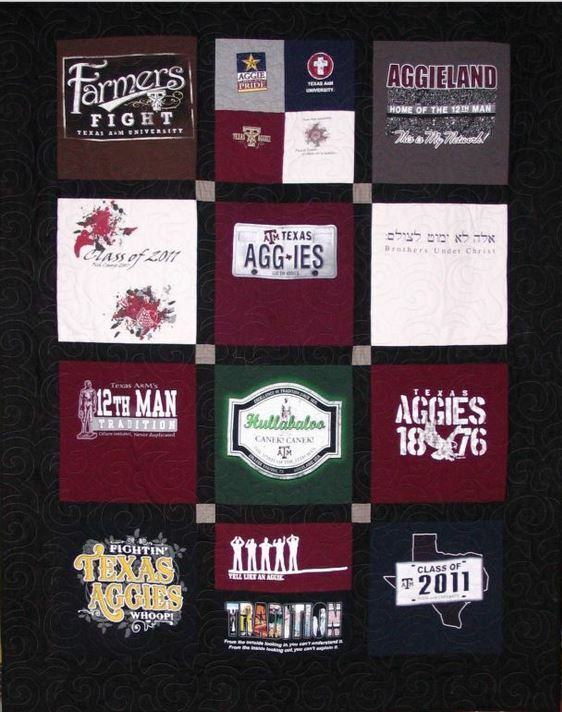 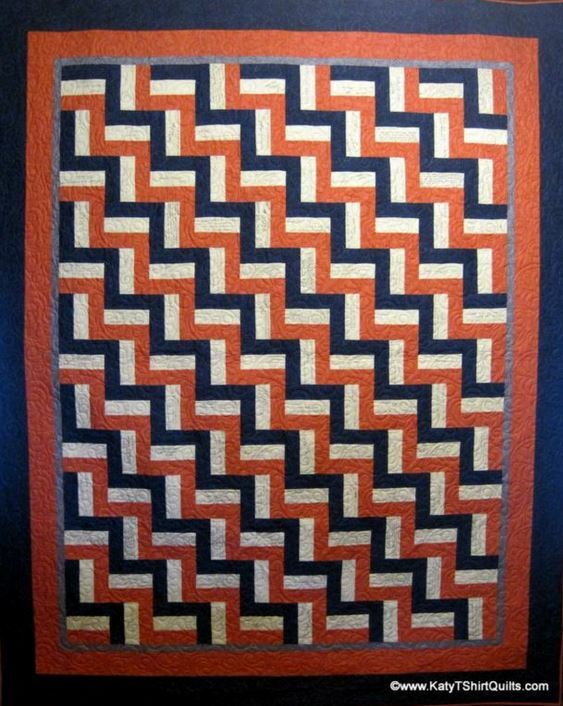 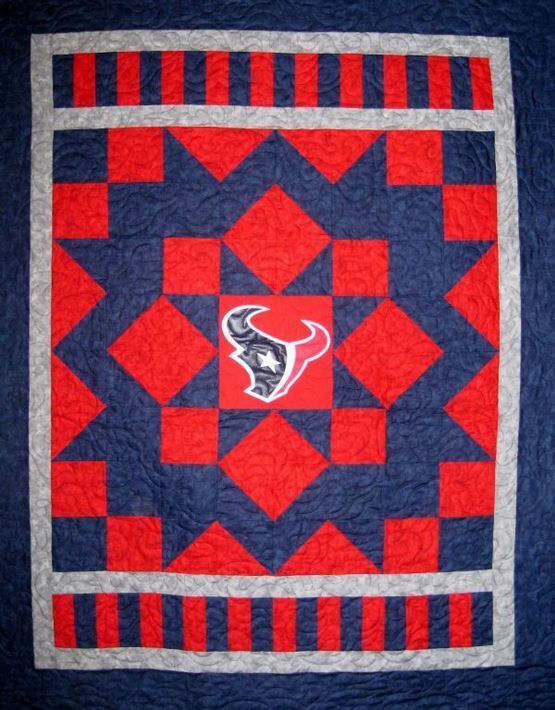 Galatas T-Shirt Quilt - Made for a school fundraiser. 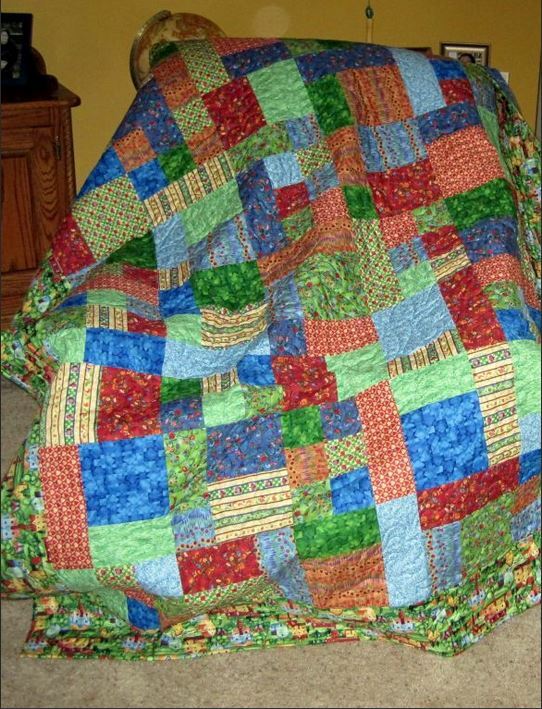 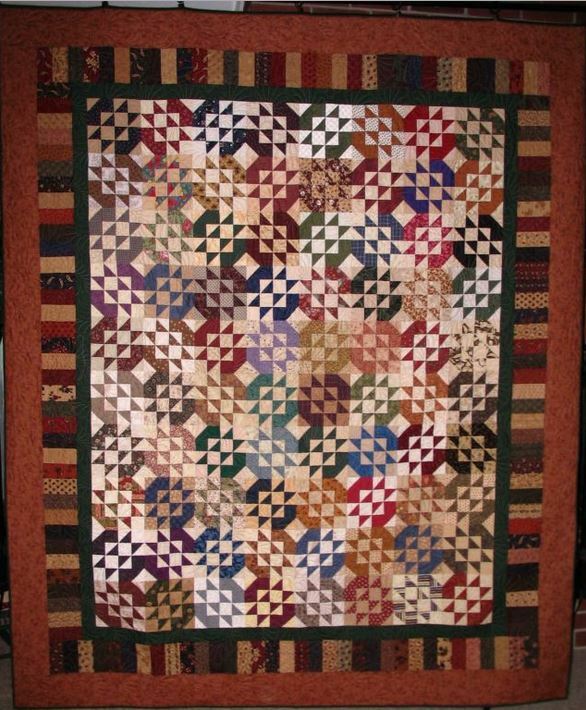 Signature Rail Fence Quilt - I made the squares to be signed at a wedding reception and then they were returned to me to complete the quilt. 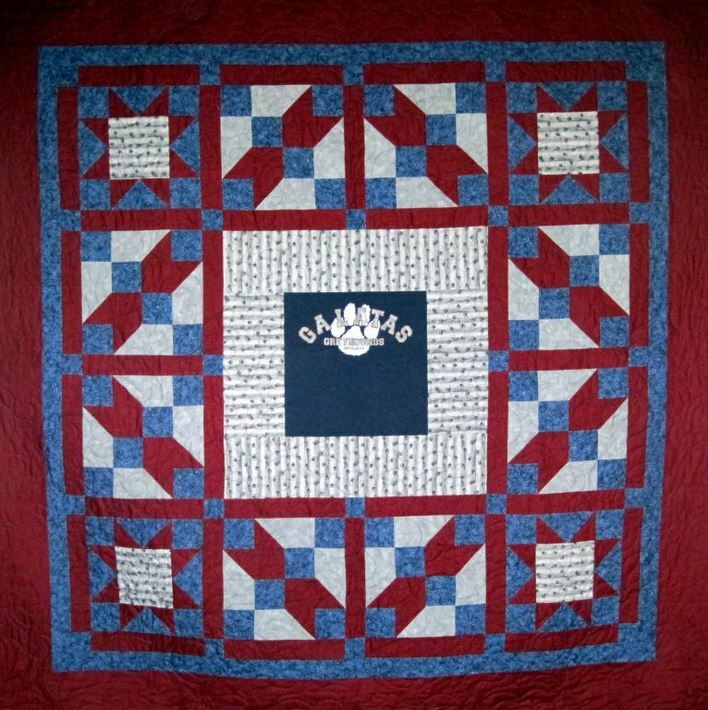 The white areas having signatures on them. 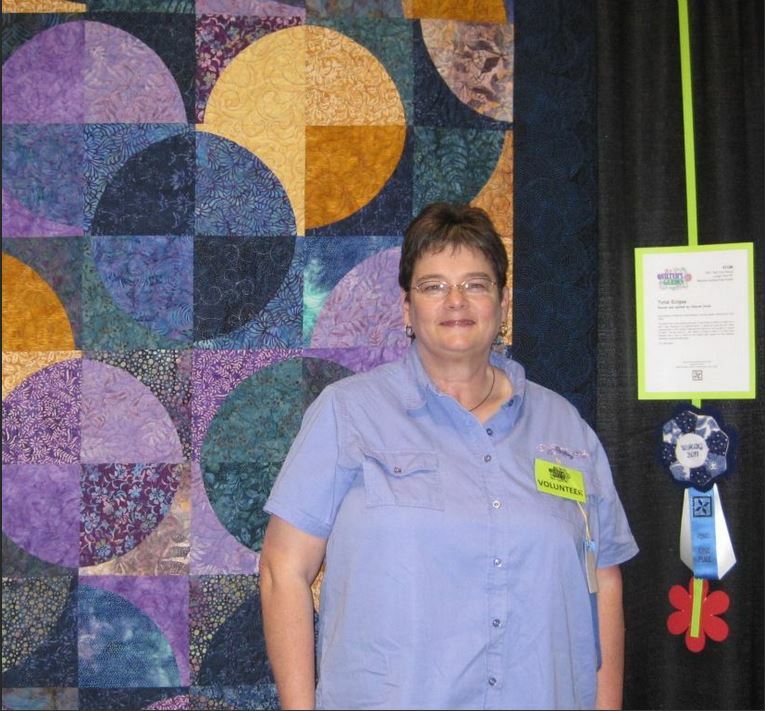 Batik Fabric Frenzy - This quilt won a Second Place and a Judge's Choice Ribbon at the West Houston Quilter's Guild Quilt Show. 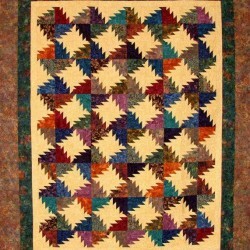 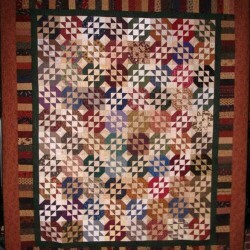 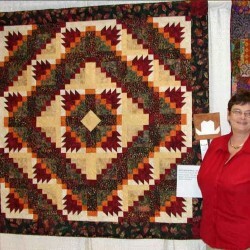 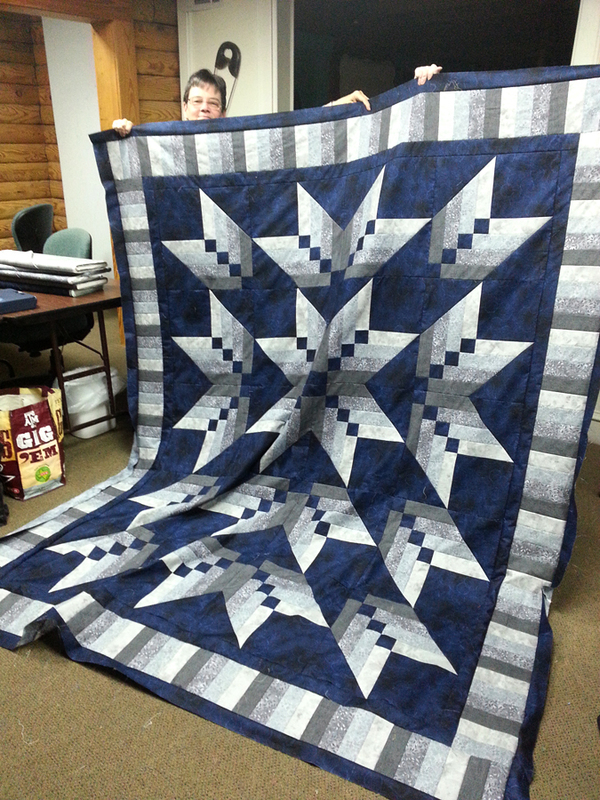 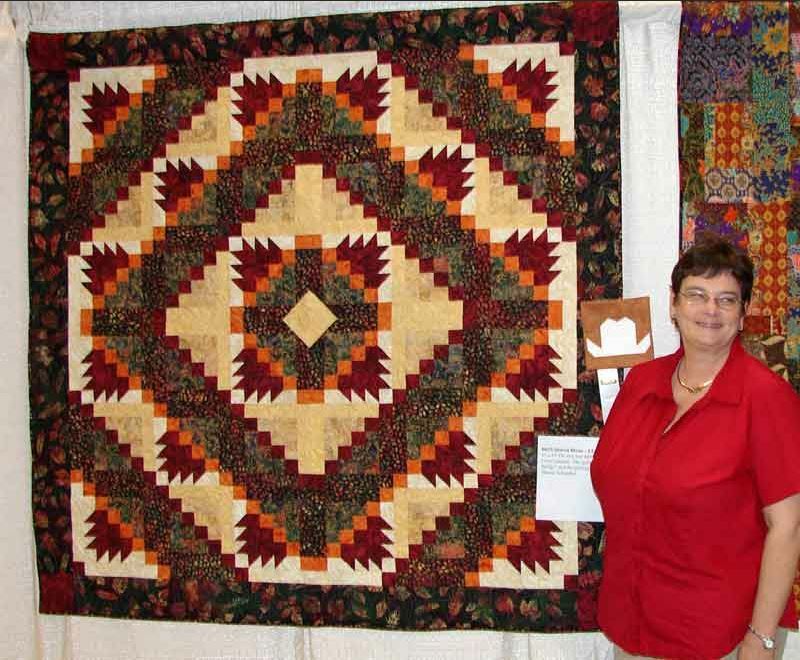 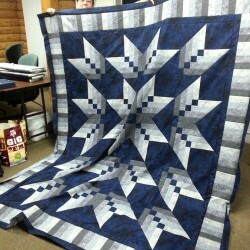 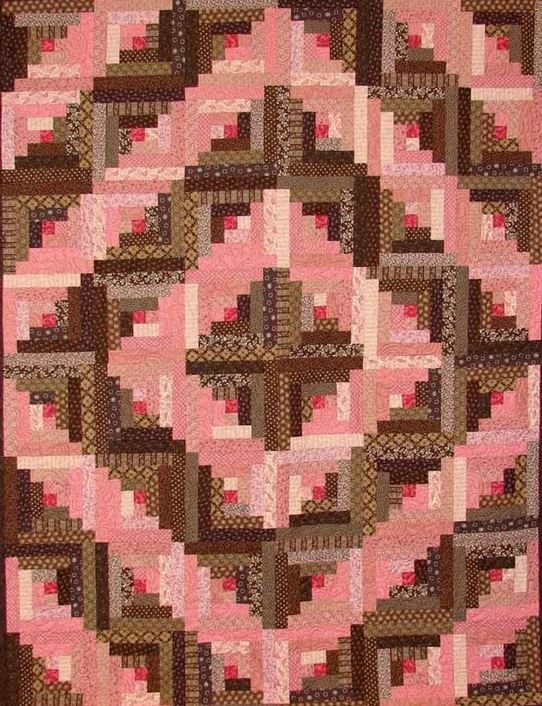 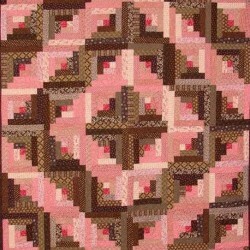 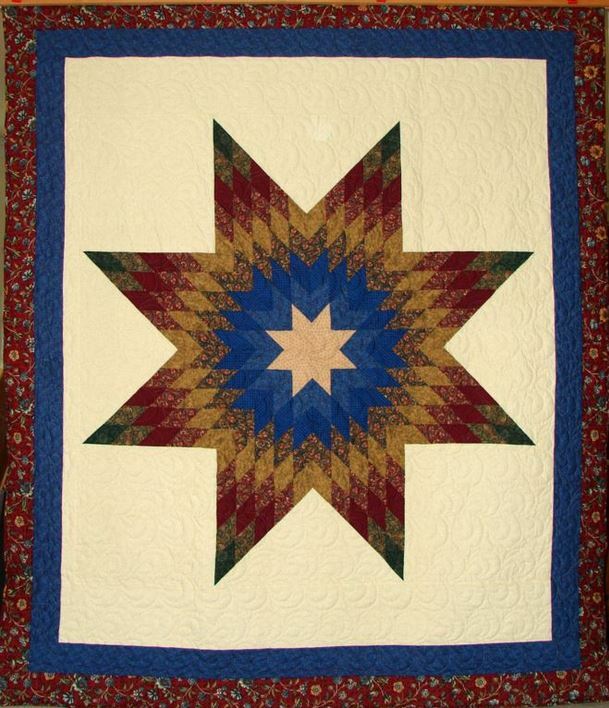 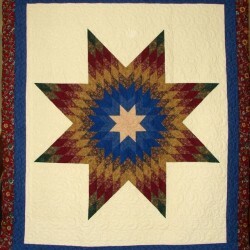 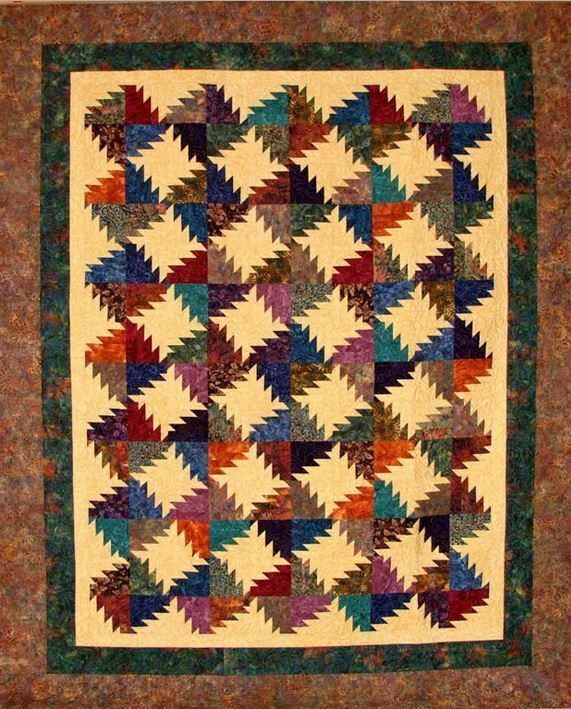 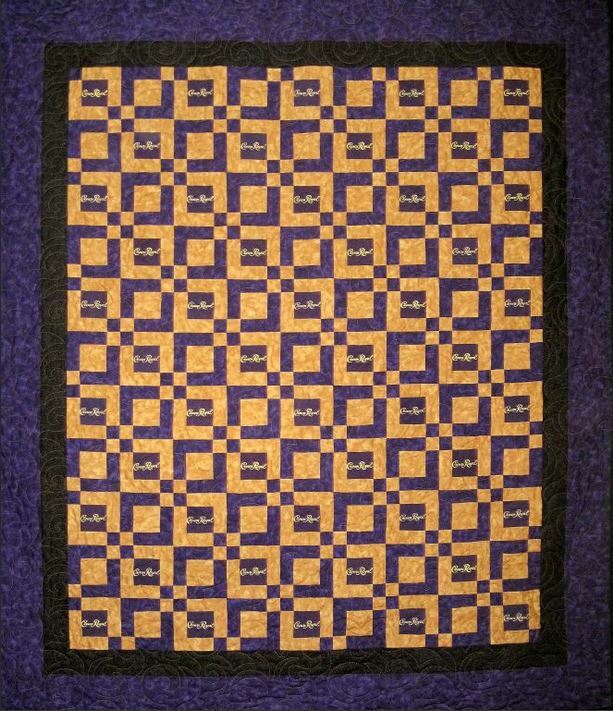 Log Cabin - I won a First Place Ribbon with this quilt at the WHQG Quilt Show. 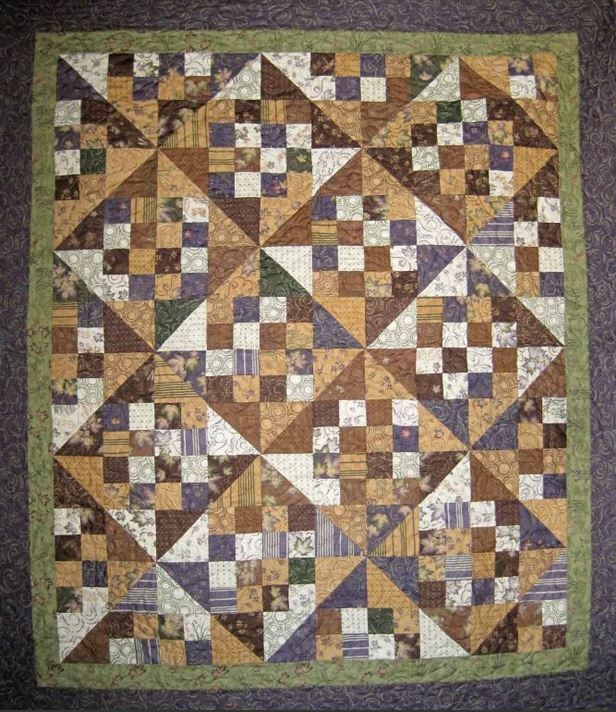 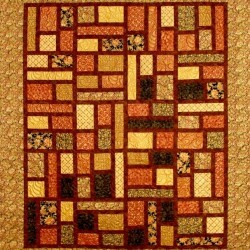 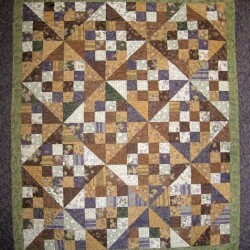 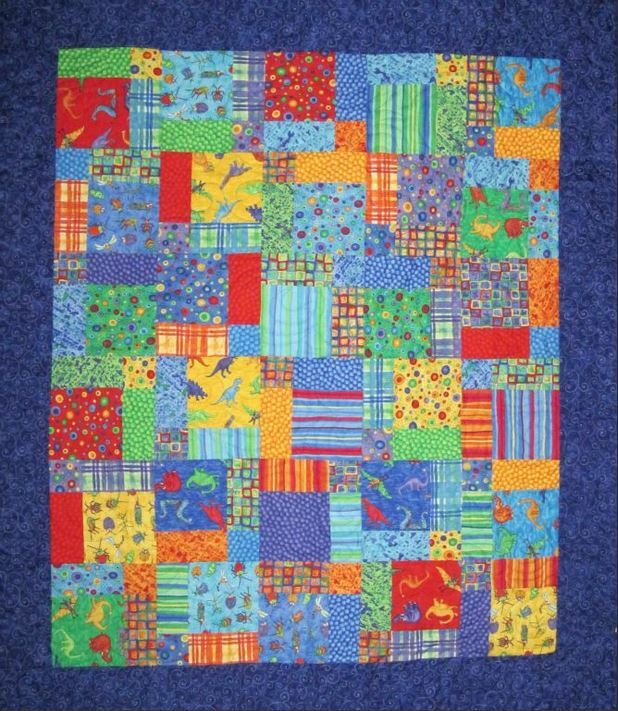 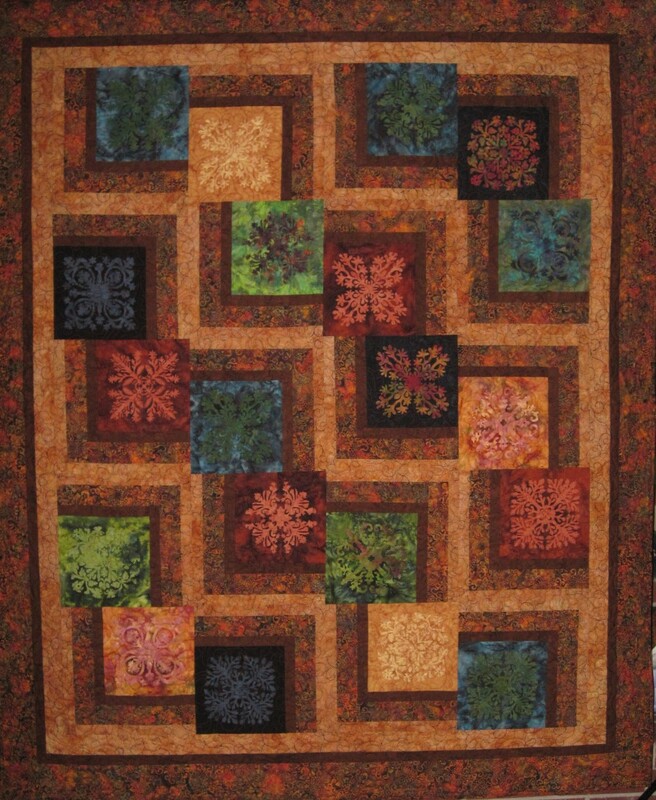 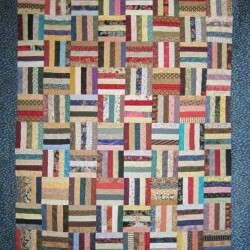 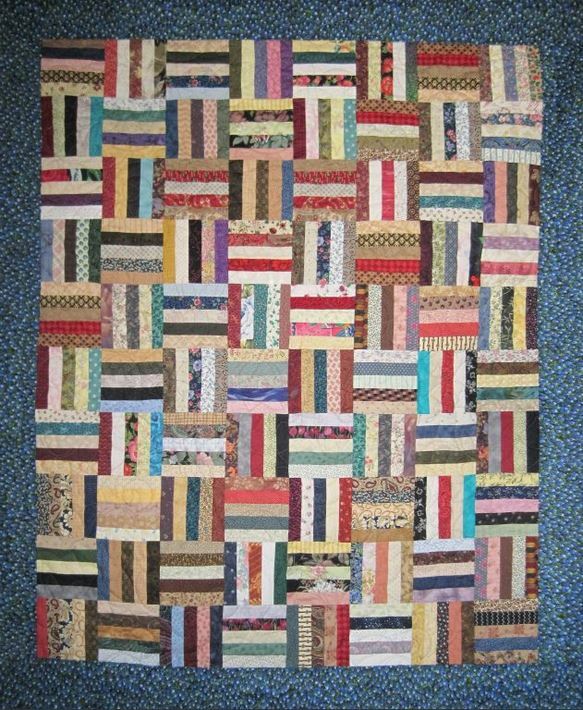 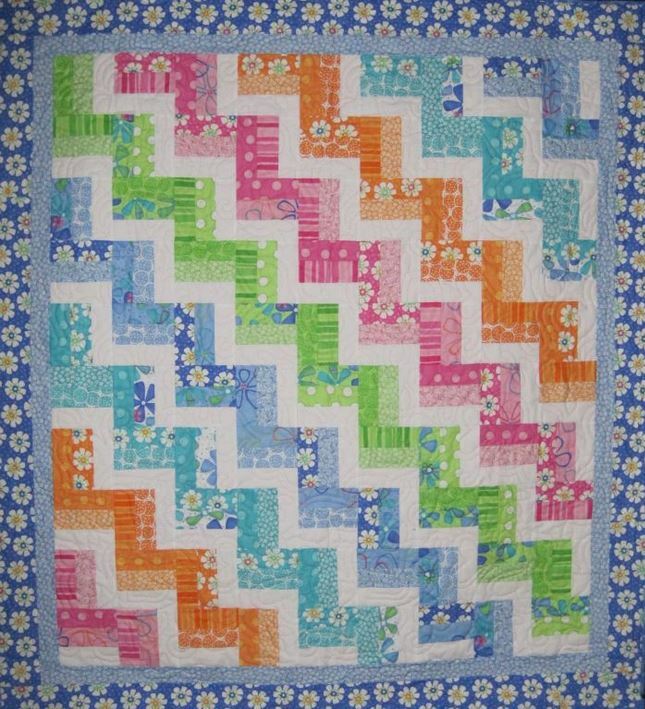 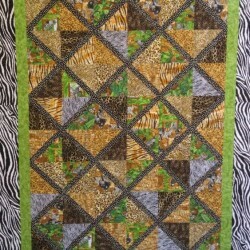 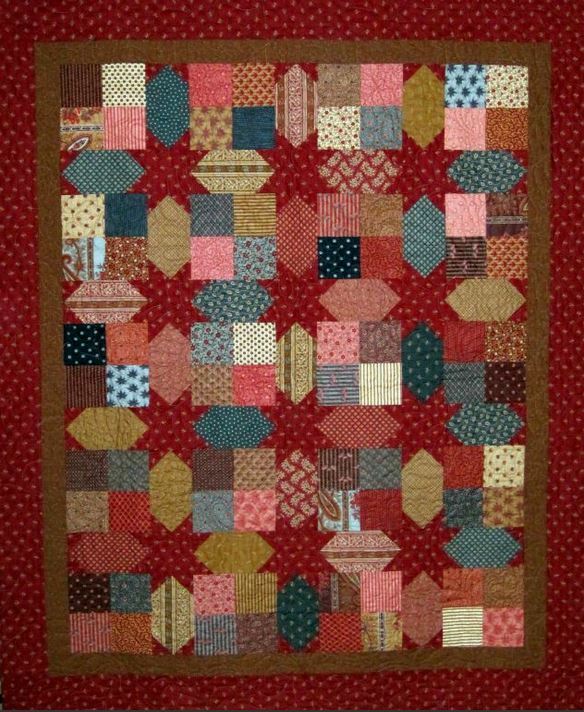 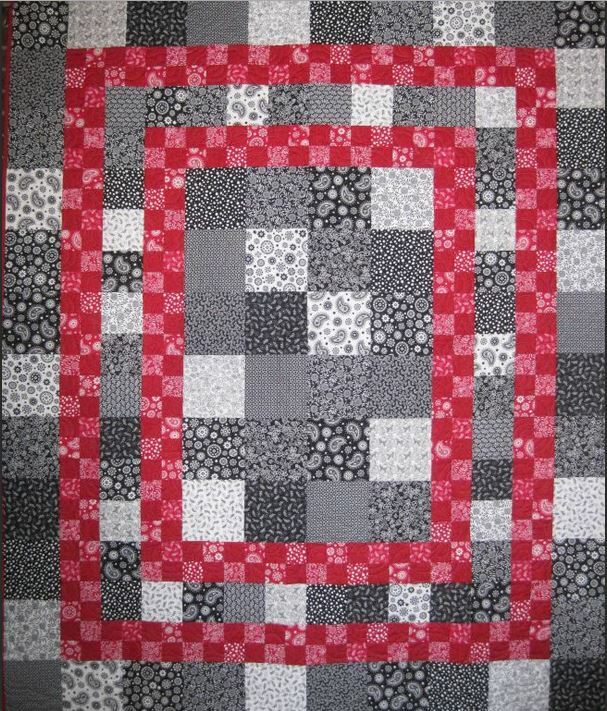 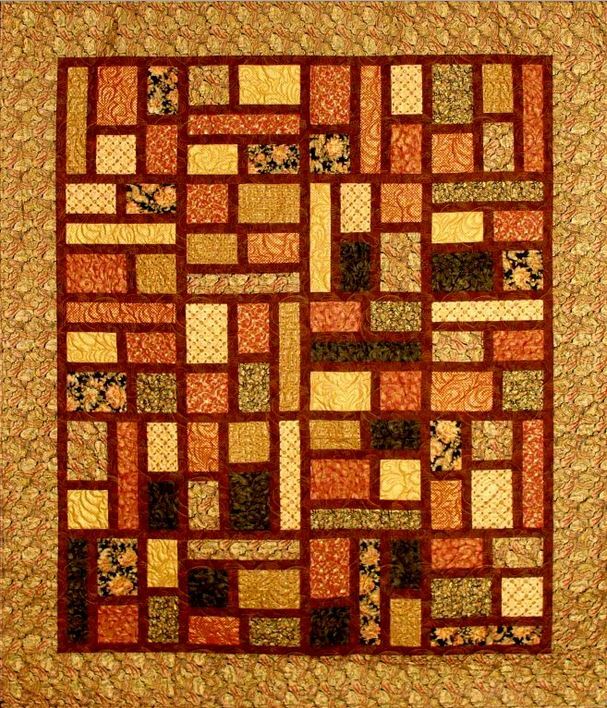 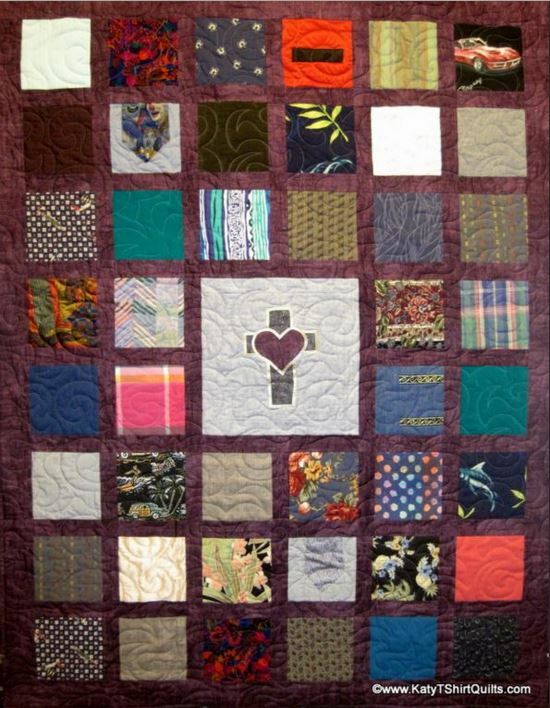 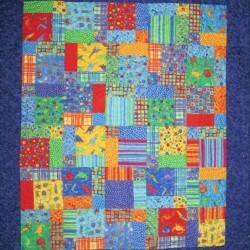 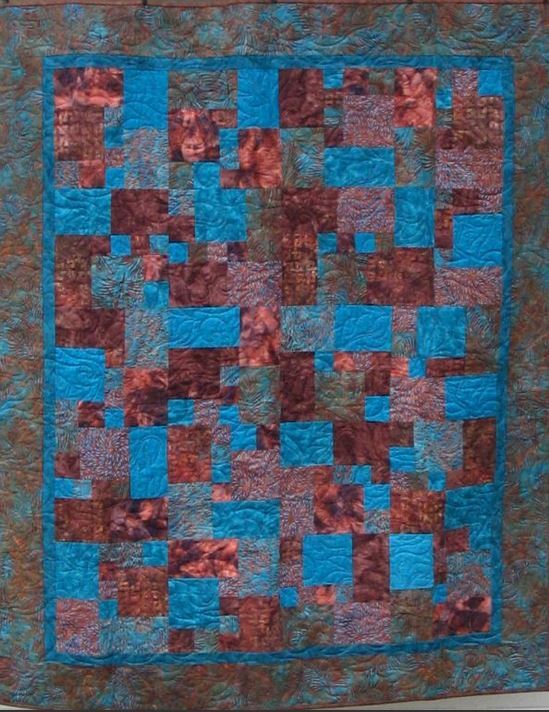 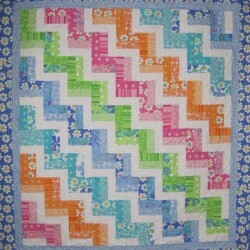 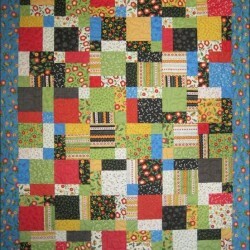 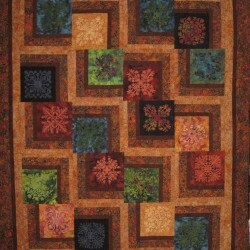 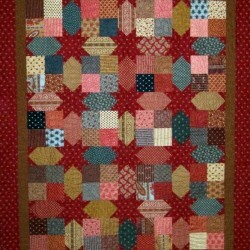 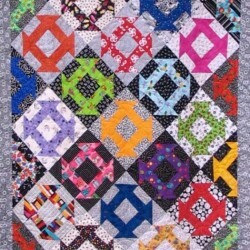 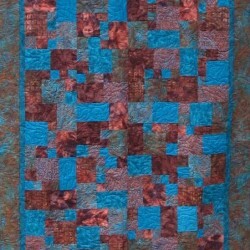 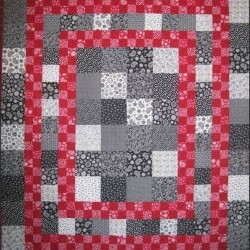 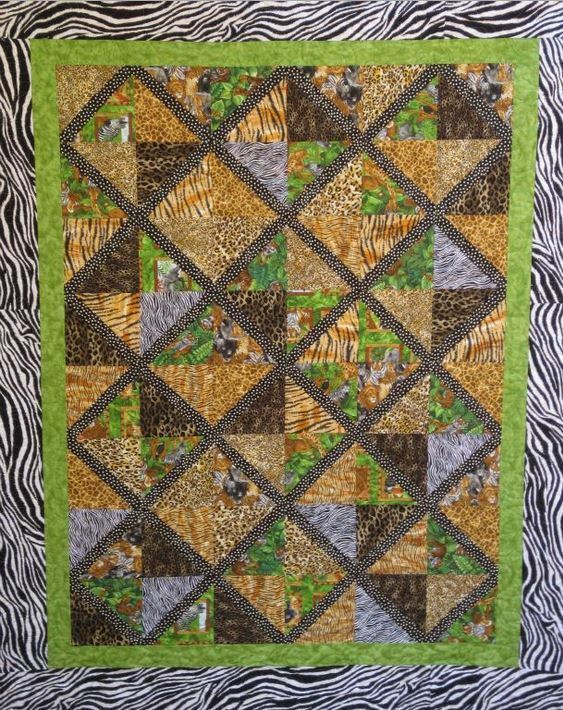 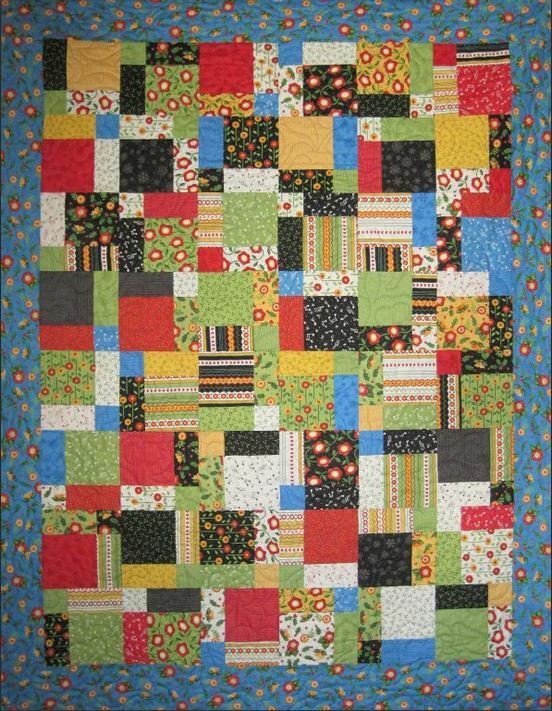 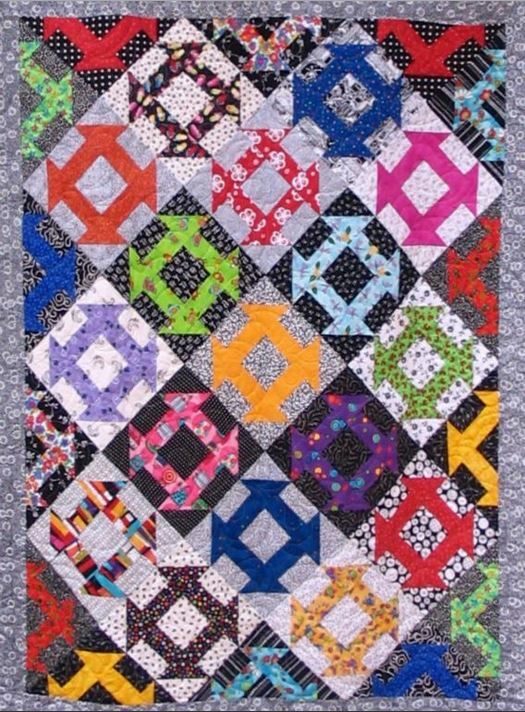 Scrappy Quilt - Another Ribbon winner. Scrappy Quilt - Mary Englebreit fabric was used in this quilt. 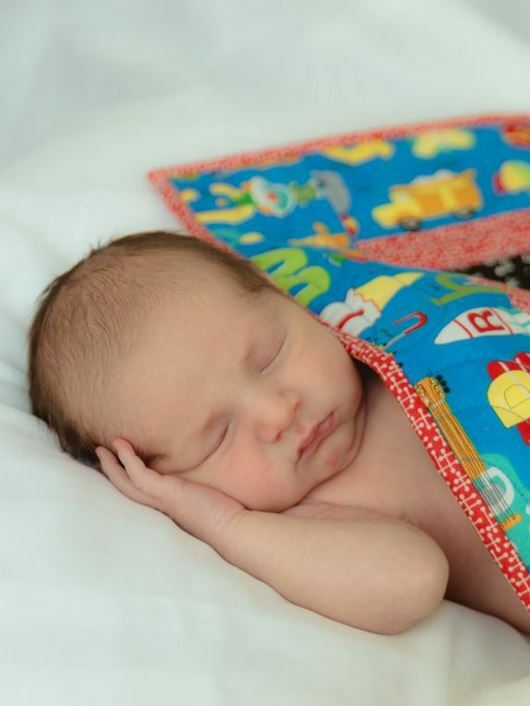 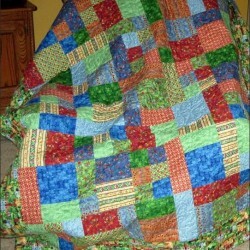 Leo Quilt - My great nephew resting comfortably underneath the quilt I made for him.